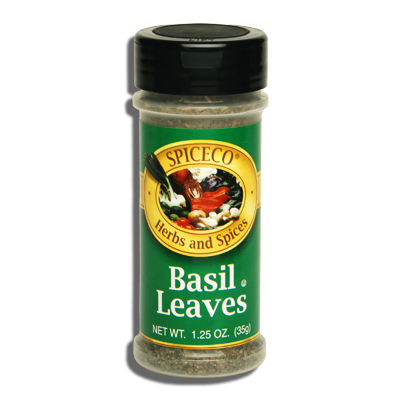 SPICECO, BASIL LEAVES (SMALL) | Bende Inc.
Spiceco Basil Leaves (small). Widely used in French and Italian dishes. Delicious flavoring in soups, stews and meat loaf. 1.25 oz (35g).